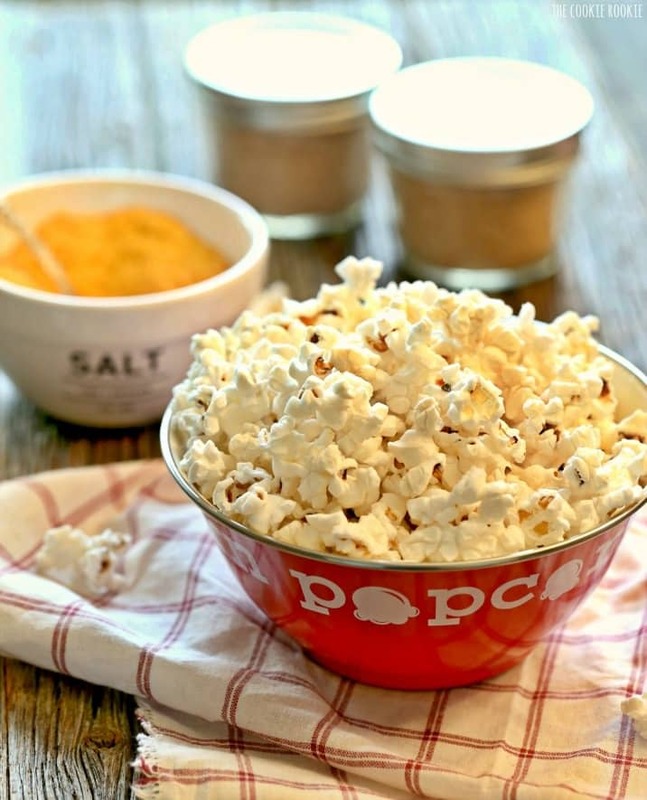 Anyone can make DIY FLAVORED POPCORN SALTS! Makes for such a fun gift. 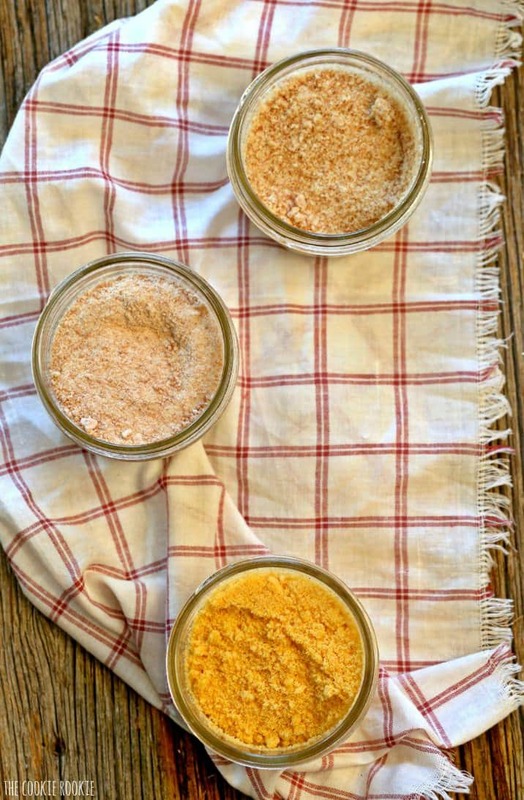 It’s easy to make flavored salt in virtually any flavor! 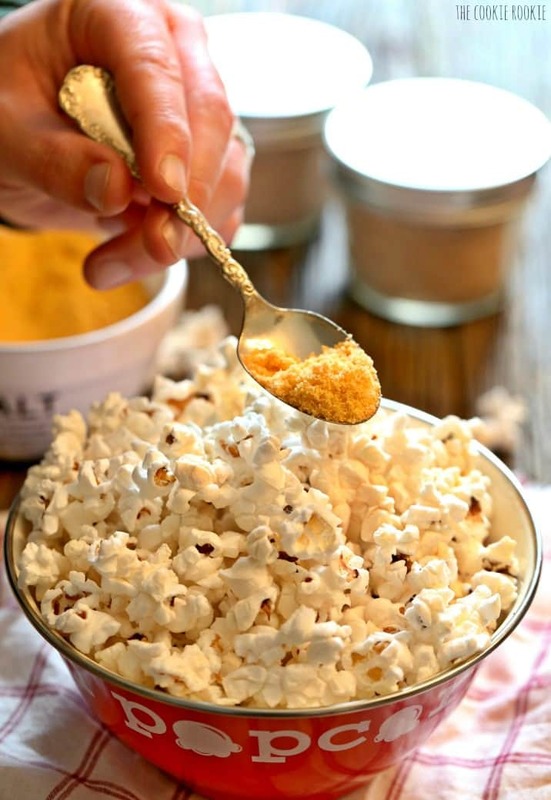 Perfect for your favorite dishes and especially perfect for fun popcorn! 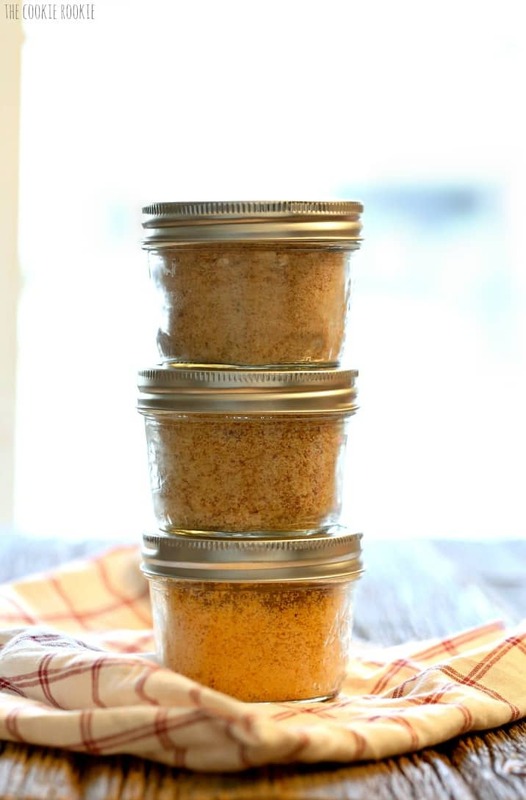 I’ve learned a lot of things from starting this food blog, but one of the most shocking has been just how easy it was to make DIY Flavored Popcorn Salts. I had never even thought of it. Sure I figured it had to be possible somehow, but never knew I’D be making it. I have come a long way people! 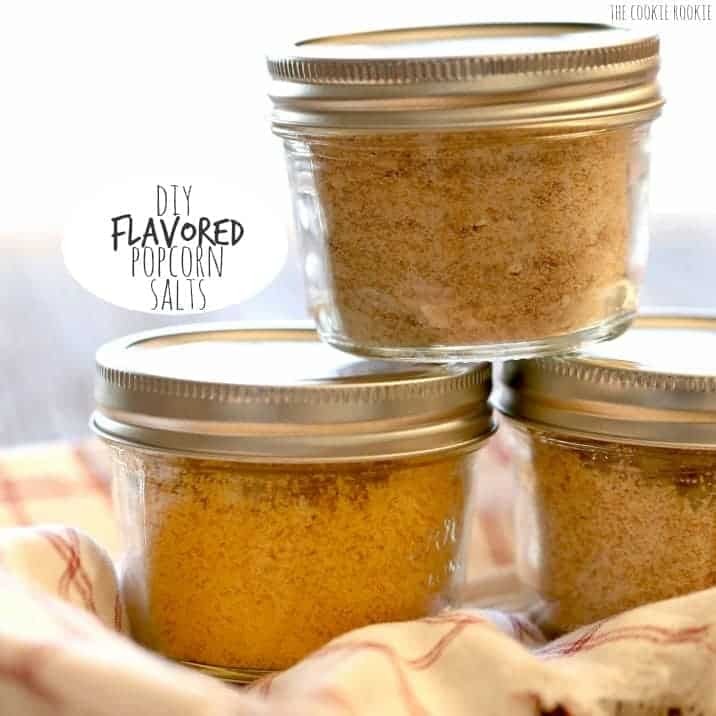 This DIY Flavored Popcorn Salt (or anything salt) is fun for homemade gifts, awesome on so many recipes, and totally perfect for a movie night in! This is some sassy salt! I can’t take credit for this brilliance. I got the idea (and all the amazing tips) from one of my FAVORITE blogs, Chew Town. It’s a gorgeous and creative site and I hope you check it out asap! 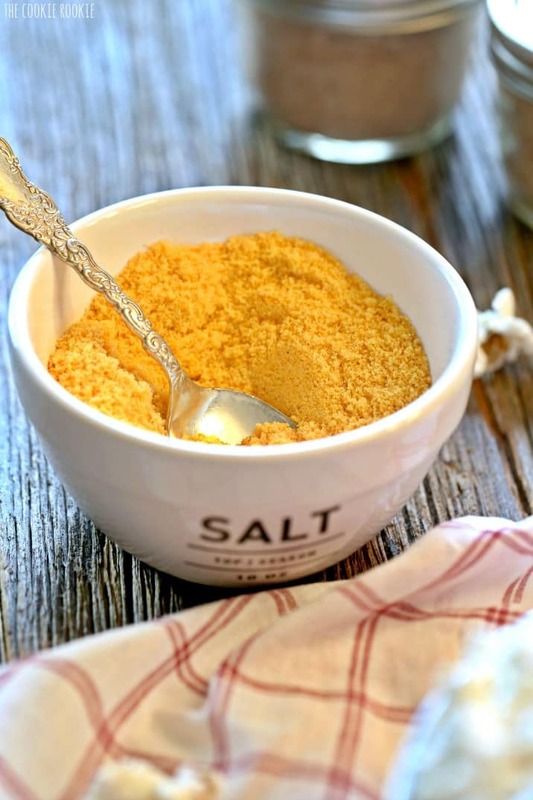 Click HERE for her post and read great details about the different methods of making this salt happen. Plus she did some really cool flavors. Check it out! 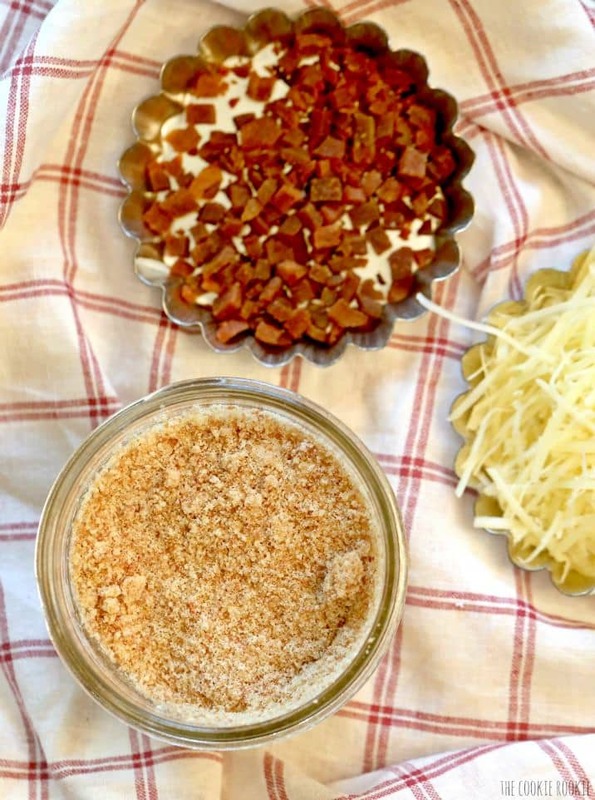 First up, Bacon Parmesan Salt! Um yeah. I don’t think I need to say much about this one. Cheese and Bacon. Made into salt. You’d be a fool not to love that! Another no brainer. Buffalo Sauce goes with ranch. 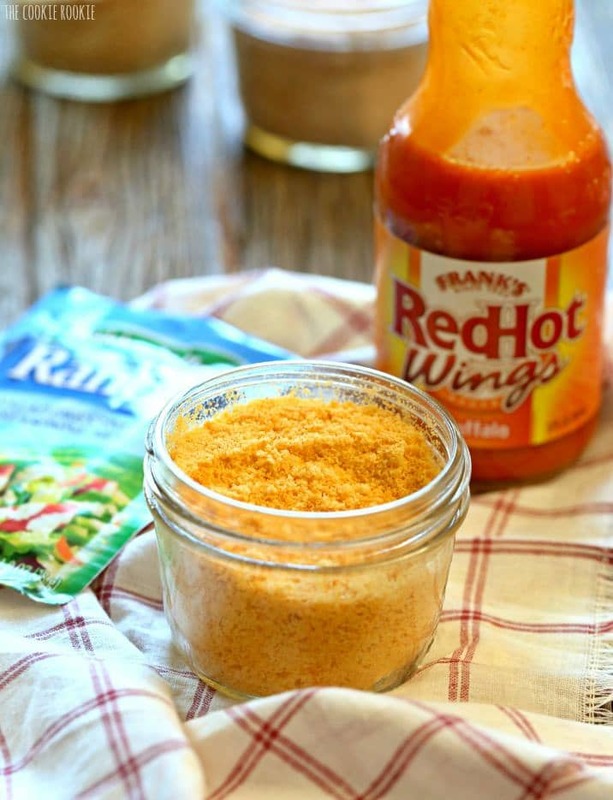 Ranch goes with Buffalo Sauce. Match made in DIY Popcorn Salt HEAVEN! This one might seem like a stretch, but I think it was my favorite! So different, but the flavors just go together. I made it super easy by using a reduction made from Chocolate Wine. The less ingredients, the easier! Yum. I just think these are so fun, and I’m so glad I stumbled upon the fabulous idea on Chew Town. Get creative with your flavors, the sky is the limit! 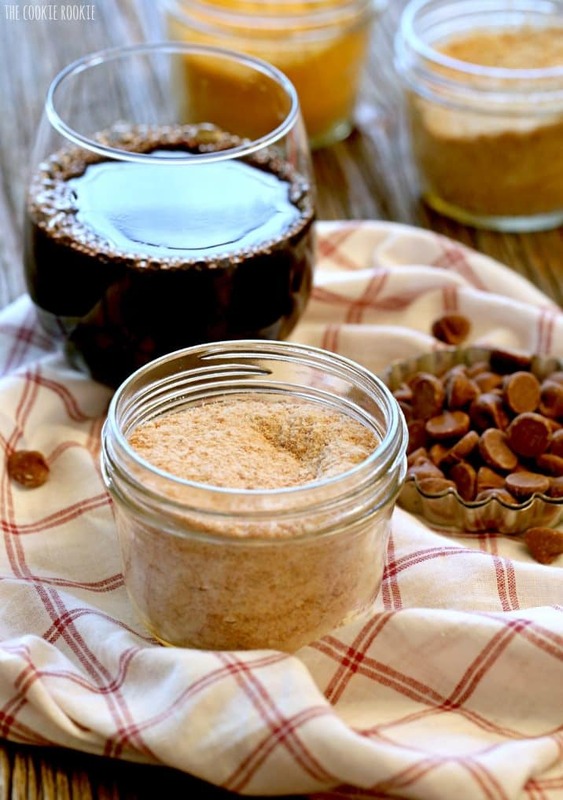 Pretty much any flavor can be made into fun DIY Flavored Popcorn Salts! Put all ingredients in a food processor and pulse until fully combined. Store in an airtight container for up to two weeks. Enjoy! Spread salt on a parchment lined baking sheet and bake for 2 hours. Every 30 minutes, flip the salt to make sure it doesn’t burn or meld together. Put salt back into food processor and pulse once more. The salt should break up and form a finer consistency. Enjoy! Preheat oven to 170F or your oven’s lowest heat setting. Pour bottle of wine into a medium saucepan and simmer on low heat until it reduces significantly and becomes a syrup. This might take 45 minutes to an hour. Take off of heat. Place salt and wine reduction in food processor and pulse until well combined. This mixture will be relatively sticky. Spread mixture on a parchment lined baking sheet and chop up as much as possible to spread the salt up. Once dried out, return the salt to a food processor and pulse. The salt should break up and form a thinner/more salt like consistency. It’s so fun Ashley! I can’t wait to come up with more flavors now that I know how easy it is. Hope you’re doing well! I want to meet up at a conference one of these days! What’s the storage time of the last two? I imagine longer than the two weeks. Do you know how long these will last? I want to make them as gifts, but hate to give something that will “expire” soon. They should be good for about 2 months in an airtight container. Hope you love them! This is great! I use finishing salts from The Salt Cellar (https://www.salt-cellar.com) because making them myself isn’t always doable. This inspires me to be more of a DIY person. 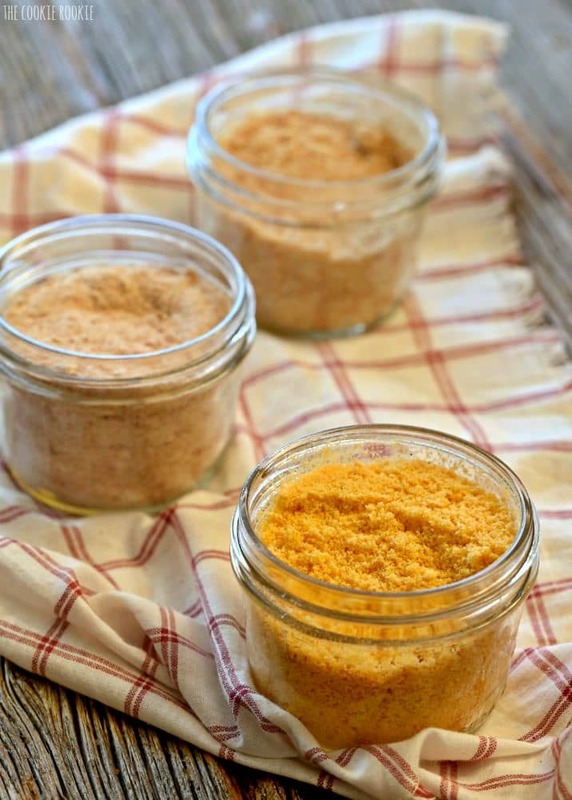 Have you ever tried making these with Himalayan salt rather than iodized or sea salt? This is great! I use finishing salts from The Salt Cellar (salt-cellar.com) because making them myself isn’t always doable. This inspires me to be more of a DIY person. I’m going to have to try the chocolate wine – I’ve never seen that flavor before! 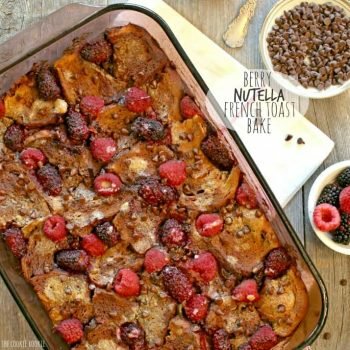 how much does each recipe yeild? I’m planning on doing these for christmas gifts this year. I’m sure this is possible but I’ve never actually used a dehydrator so I don’t know for sure the method. If you try it please let me know! I have just returned from Iceland where I brought home a sample of licorice salt. 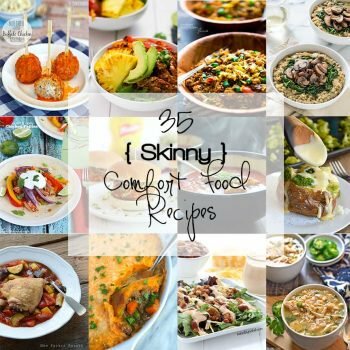 It is supposed to be great on popcorn, steak, and some veggies too! Since I have written a children’s vegetable cookbook I am interested in making this salt. I wondered before I start experimenting if you had any knowledge or tips that might help me? I appreciate your time and good luck with your passions! 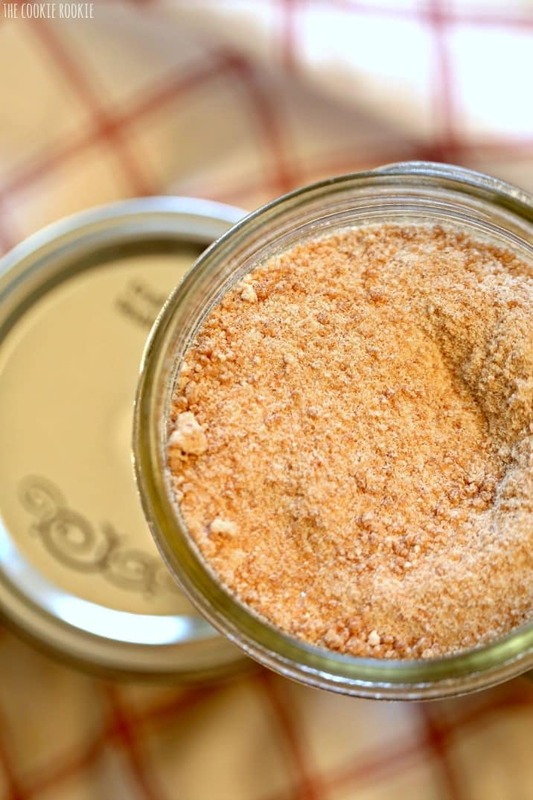 Licorice salt, what a fun idea! OMG I’d love to visit Iceland, that’s amazing! Glad you like the idea. Do you have any ideas of how to make it. Pulverize some good black licorice and add to the salt? Could it be that simple?